Has anyone here used this Logitech Bluetooth adapter and is it worth the price in audio quality? 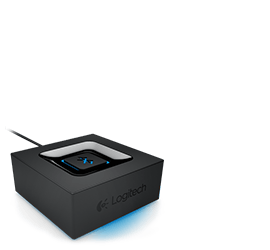 Logitech Bluetooth Audio Receiver connects computers, smartphones and other Bluetooth-enabled devices making all your speakers streaming-compatible. I am thinking of getting one but the price seems a bit steep if the audio quality is going to be terrible. Also if you guys know where I can find it cheaper than the R500 mark or even a second hand one please let me know. I bought me that one and it work like a bomb. Yeah im just weary of the cheaper ones. I bought a Baobab one off takealot.com for 200 and its sound quality was trash. And was thinking maybe getting one of those Bluetooth audio converters as use it in the braai area.